With 2018 Year Coming to End - Let The Party Begin!! 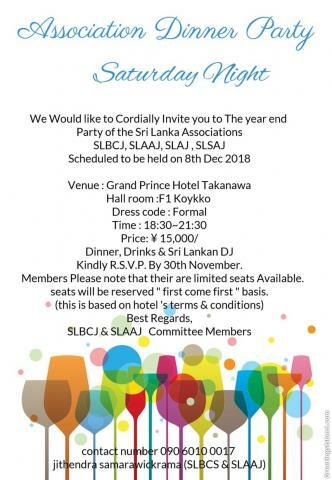 We would like to cordially invite you to the Year End the party of Sri Lanka Associations SLBCJ, SLAAJ, SLAJ, SLSAJ scheduled to be held on 8th December 2018. Kindly R.S.V.P. 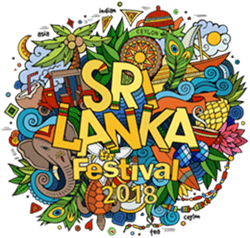 By 30th November. Members, Please Note that there are Limited Seats Available. Seats will be reserved "First Come First Serve" basis (based on Hotel's Terms & Conditions).